The designer and park’s owner tamed the geometry of the slide, and put a net over it. When it came time for actual humans to test the ride, they were the first to go down. Verrückt was a huge success — until the afternoon of August 7. "We are saddened to share that a young boy died on Verruckt this afternoon," Winter Prosapio, Schlitterbahn's corporate director of communications, told reporters. 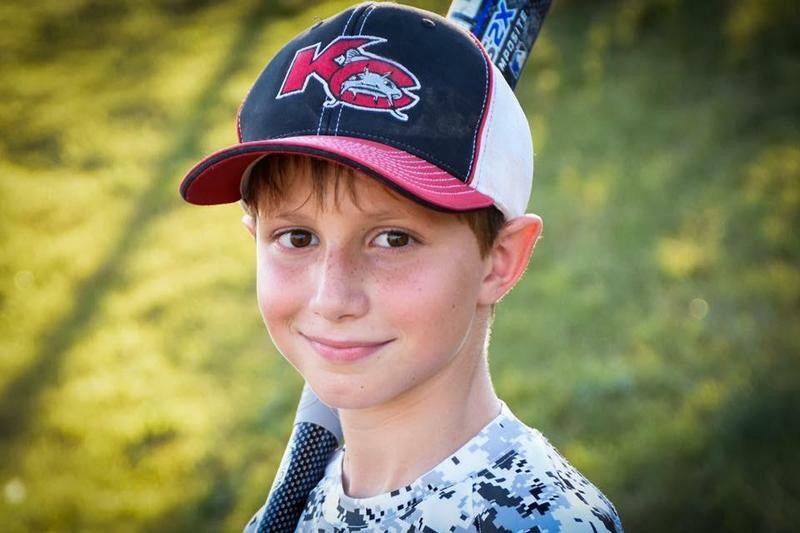 It was later revealed that 10-year-old Caleb Schwab, the son of a Kansas state representative, was decapitated on the slide, possibly by the late-addition safety net meant to keep him in. "I thought that history was repeating itself," says Massachusetts senator Ed Markey, who's long pushed for federal oversight of amusement rides. "A baby stroller is subject to tougher federal regulation than a rollercoaster carrying a child in excess of 100 miles per hour." The federal government regulates traveling carnival rides, but not fixed-site amusement parks. It used to, until 1981, when, Markey argues, a stealthy amendment to an appropriations bill changed the law. States regulate parks, and some states are very strict about it — but not all. Kansas, for example, requires operators to get annual inspections, but rarely audits for compliance. Verrückt required a county zoning waiver, and structural tests, but no governmental sign off on the ride’s basic safety. Amusement park consultant Ken Martin says some states are even more lax. "There’s no type of oversight," says Martin. "There’s no type of penalty if they are doing something wrong." Martin joins Senator Markey in calling for the U.S. Consumer Product Safety Commission to resume amusement park regulation, after a 35-year hiatus. But Paul Noland, who heads the International Association of Amusement Parks and Attractions, says that's just not necessary. "There’s no evidence at all that federal oversight would improve on this already outstanding track record that the industry has," he says. According to Noland, state oversight is working just fine. After all, serious injuries on amusement rides are very unusual. Marcus Gaines with the European Coaster Club says the coverage of Caleb Schwab’s death demonstrated that. "The fact that the tragedy on Verrückt has reached the headlines globally — it was on all the mainstream media here in the UK — shows how rare it is," Gaines says. How rare though, is hard to gauge. Nobody publishes reliable figures on amusement park injuries. It is safe to say that you are much more likely to be struck by lightning than to die on one of these rides. And that is very much by design, according to David Collins, a veteran amusement ride engineer. "There’s no profit in killing people," says Collins. "There’s no profit in hurting people." And then there’s the little matter of liability. Collins says that inspectors or, auditors, working for insurance companies carefully scrutinize rides "and the insurance company will say, 'If you don’t conform to the auditor’s report, you ain’t going to be insured anymore.' And anybody who operates a ride without insurance is, well, a darn fool." The private sector inspector’s job, says Collins, is to make sure that rides are built and maintained according strict, comprehensive codes. "The standard says, if you own and operate an amusement ride, thou shalt do these things in a daily basis, before you open to the public," he says. "And you have to keep them in your log book." An organization called ASTM International sets these protocols. Scientists and engineers established ASTM in 1898 to standardize the steel used in railroads. Now ASTM-affiliated volunteers write widely-accepted standards for hundreds of industries, across the globe. And ASTM staff manager Katerina Koperna says amusement rides get very close scrutiny. "Every inch of that seat that you get in, every piece of the mechanical equipment, the hydraulics, the oil, the screw the bolt, the this, the that," says Koperna. "They are looking at every single thing, and there are 900 plus people doing that same exact thing." Yep, more than 900, scientists, engineers, park operators, and safety advocates write, and continually refine, amusement ride safety standards. Still, Nancy Cowles, who runs the group Kids in Danger, says federal oversight is necessary to compel all park operators to follow those standards. "I’ve worked on many issues over my time in consumer safety, and almost every industry group tells us that, 'Don’t you worry, we’re taking care of this,' and then you find out that in fact that’s not the case," says Cowles. And currently it’s not easy to gauge exactly how safe amusement parks and water parks are. The industry cites data that shows amusement ride injury rates to be very low and improving. But those numbers come from a self-selected group of amusement parks who provide them voluntarily for an industry-sponsored survey compiled by the National Safety Council. Safety advocates, like Tracy Mehan, a researcher at Nationwide Children’s Hospital, don’t trust that study. But they are left trying to extrapolate a comprehensive picture using emergency room visit numbers from just 100 hospitals nationwide. "It’s really hard to tell the type of injuries that are happening, because there is no federal oversight, and no national way of collecting data," says Mehan. "The parks don’t have to tell people what’s happening, so it’s hard to get a clear picture." Mehan says Consumer Product Safety Commission regulation would produce reliable accident statistics. Senator Markey agrees with that, and argues that Caleb Schwab’s death may reinvigorate the push for federal oversight. Meantime Kansas Governor Sam Brownback says he’s open to looking into reassessing the state’s thrill ride regulations. The family of Caleb Schwab has made arrangements for his memorial service. Ten-year-old Schwab died Sunday riding the Verrückt waterslide at Schlitterbahn in Kansas City, Kansas. He was the son of Kansas state representative Scott Schwab. The death of 10-year-old Caleb Schwab Sunday on the Schlitterbahn water park’s Verrückt water slide is the first known accident involving the attraction since it opened in 2014. 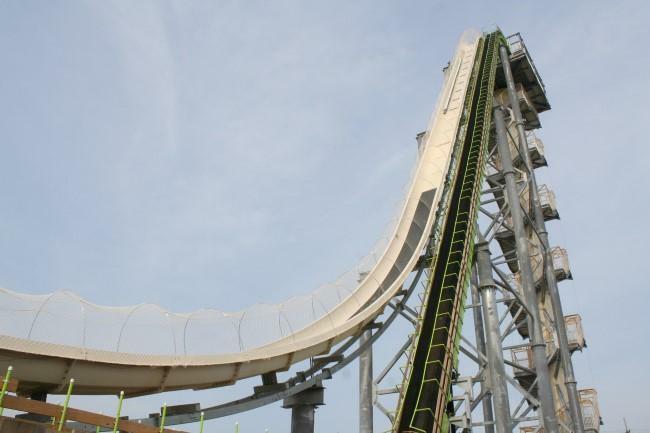 But at least three negligence lawsuits have been filed since 2014 against Schlitterbahn, which opened seven years ago – although none involved the Verrückt, at 17 stories the world’s tallest water slide. The young son of a Kansas lawmaker died Sunday on a ride at Schlitterbahn water park in Kansas City, Kansas. The child who died was Caleb Schwab, the son of Kansas Rep. Scott Schwab, R-Olathe. Many lawmakers were at Schlitterbahn for Elected Official Day. An email from Speaker Ray Merrick's office went out to state legislators sometime this afternoon.